A few months ago, while doing an inventory for a report on the state of the Shunryu Suzuki archives, I was going through a closet in the library reading room at the City Center of the San Francisco Zen Center (SFZC). There were some boxes of old cassette tape copies and transcripts of Suzuki lectures now available in more exacting form. Diana, who runs the bookstore and uses that closet for storage, thoughtfully came downstairs to see how I was doing and pointed to what looked like a box and asked if I'd seen it. I'd passed it over. She took it out and handed it to me. It was in the shape of a book, like a large dictionary. On its orange edge was printed Dandy File-Letters. On the spine was written “ZMBM ms.” I undid the fastener. It was filled with folders. To this unschooled yet eager archivist it was as if golden light emanated from inside that container. For there were the ingredients and the initial recipes for the little book from Suzuki Roshi's lectures called Zen Mind, Beginner's Mind – the early editings including Trudy Dixon's notes, and what were obviously verbatim transcripts of 48 Suzuki lectures – all but one or two of which were not in our archive and were, as far as I know, the only remaining copies. I went to the photocopy room and working with an intensity that left me with a massively bloodshot left eye, finished getting it all, except the notes which I'd get to later, copied in triplicate by ten the next morning. Zen Mind, Beginner's Mind (ZMBM), Informal Talks on Zen Meditation and Practice, was published by Weatherhill in the summer of 1970. It immediately sold quite well and continues to do so. It's place in the Buddhist book and the spiritual book world is well-established. It sold over a million copies years ago and has been translated into many languages. It's one of those unpredictable events in publishing or show biz. No one knows what's going to be a hit. ZMBM went straight to the top echelon of spiritual books not only in sales but in reputation and has stayed there. Its appeal is universal. It is almost always on any list of the most important spiritual books of the last century. Thirty-eight years after it first came out, it's #2 on Amazon.com's Zen list and 33 on their Eastern list. In 2000 Weatherhill brought out a new edition and, as with the first edition, made little of it. Richard Baker corrected a few misunderstandings from his intro and there were a couple of mistakes in the book too – like Suzuki had gotten some Zen master's names mixed up. The Japanese translator took him to task for that in his intro. It hasn't done well in Japanese. He's been regarded by the Zen establishment in Japan as overrated in the West. In his introduction to the book Huston Smith pointed out that, in contrast to DT Suzuki, Shunryu never used the words satori or kensho. Probably because of that, Suzuki has the reputation of not talking about enlightenment. It's true that he emphasized practice - what we do, how we apply our understanding in daily life - especially zazen, zen meditation, and he emphasized that practice and enlightenment were one; however, the word enlightenment does occur 104 times in this book. This is a book on enlightenment, another synonym of beginner's mind or big mind or buddha mind, and so forth. I don't want to compare it to other books or praise it too much or Suzuki. That's not appropriate for me as one of Suzuki's disciples, archivists, and biographers (there will be others). But that's not really a problem. No one at the SFZC, including myself, thought much about it when it came out. It was nice to have a book with Suzuki's lectures in it though and it was sure a lot easier to read than the close-to-verbatim transcripts we had. We had Suzuki so we didn't think too much about reading his lectures even though he was somewhat difficult to understand, especially for newcomers. The transcripts were available but they weren't thought of as being more important to read than other Buddhist texts. Also, all spiritual groups have some rating on the cult index, but the SFZC just isn't a guru worship place. People tend to relate to present teachers and know that the only Buddha they're going to find is their own big mind, a term Suzuki often used – not the “their own” part. ZMBM has been instrumental in many people coming to the SFZC, but the acclaim heaped upon it comes from outside. It was the only Buddhist book we could find driving west back in '72. Bought it in Iowa City. It was like Suzuki was talking to me. It was so available. Don't get caught up in the words – live the teaching. It constantly renews our practice and helps us in the West to be always rediscovering the Way. It's so important with the glut of Buddhist publishing today for us to return to this humble source of enlightenment. 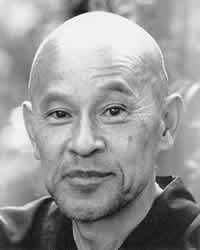 The book didn't explain things as most books do; it immersed me in Suzuki Roshi's very interesting way of seeing. It changed my consciousness the way a novel does, by opening my imagination. Reading it was like sitting in a mountain stream. I found it incomprehensible. But I'm still here. As close as a book can get to the wisdom the mind can resume when it stops grasping or trying. It comes closer than anything I know to expressing what the mind is. I don't know though if I've ever finished it. I've never used it up, never worn it out. There's always something fresh for me. After years of practice, I'm beginning to see what it's about. It was a pretty good book. I tried to read it and couldn't get into it. The book has kept its beginner's mind. I don’t have anything special to say about it. I actually found “Not Always So” to be more readable and accessible. I liked the part about the four horses which represent the four types of students. I'm the slow horse. I recommend it to anyone who's interested in Zen. It keeps changing as my practice progresses. My understanding of it changes. I feel different about other books in time but with this one it's as if the contents change. It keeps bringing me back to basics when I get caught up in thinking. While emphasizing the practice of sitting, it points to having an open mind, an open heart to the Way. ZMBM was the product of the efforts of many. Four are notable. Suzuki of course. Marian Derby recorded the lectures in Los Altos and created the first draft called “Beginner's Mind.” Trudy Dixon edited it with help from Richard Baker. When it first arrived Suzuki picked up a copy, looked it over. I happened to be there and he said to me: "Good book. I didn't write it, but it looks like a good book." And later he said, "I read Zen Mind, Beginner's Mind to see what the understanding of my disciples is." Now I'm looking over a copy of a transcript of a lecture that Suzuki gave that's dated November 10, 1965. That's a Wednesday. The Los Altos group met on Thursday. Hmm. I bet that either the talk was given the prior Thursday and that's the day it was transcribed or the next day and it's just mis-dated. No matter. A sentence in it reads, “In beginner's mind we have many possibilities, but in expert mind there is not much possibility.” That carries over unchanged in the early editing. Only when Trudy polished it did it become, "In the beginner's mind there are many possibilities, but in the expert's there are few." Reads better. Thanks to Trudy, Richard, Marian, and Shunryu. An extensive elaboration on this article can be found on David Chadwick's website, www.cuke.com. Look for a prominent link to “On ZMBM” on the right side of the home page. Also there, you'll see how to donate to the Shunryu Suzuki Legacy Project to preserve and make accessible Suzuki's lectures and an ever-expanding oral and written history of him and his students. Books by Chadwick on Suzuki are Crooked Cucumber: The Life and Zen Teaching of Shunryu Suzuki, Broadway, and Zen Is Right Here: Teaching Stories and Anecdotes of Shunryu Suzuki, Author of "Zen Mind, Beginner's Mind," Shambhala.